I hope everyone is enjoying the back to school season! 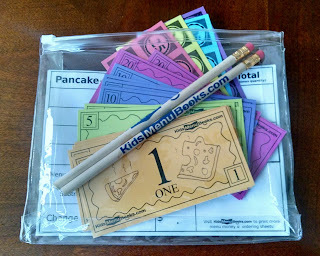 I was so excited to read this fun review post of one teacher who used The Pancake Menu in her 3rd grade classroom! Thanks Julie at Math is Elementary! She even made pancakes for the students! What a great teacher! You should really go check out her pictures and fun post. Actually, since I have the books my kids have been having me read The Pancake Menu to them and my daughter's favorite is making rainbow heart pancakes! 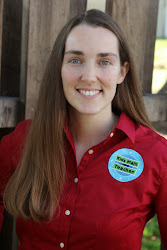 Also, yesterday I was a guest at a fellow children's writer's blog: AJ Cosmo! 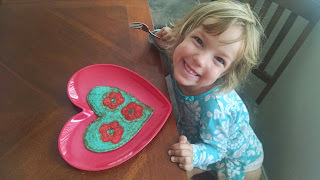 The post is here: Media, Kickstarter, and Pancakes! I've also been gearing up to visit schools around my area and making the money packets! Oh, also I finally looked up Surpriseride.com from Kevin O'Leary mentioning it on my GMA segment. It is an awesome subscription service for 6-11 year old hands-on learning activities. I thought I might be able to make a blog post for them and then I thought: it would be really cool if my book came in one of their monthly boxes! So I have an email into them. I'm really thinking of getting the service for my younger three kids who I think would really enjoy the fun activities. Sorry for being all over the place with today's post--lots going on. Have a great labor day weekend! What a great review and fun teacher! Excellent feedback for fellow elementary school instructors!